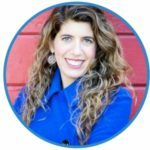 D eborah Katz, health practitioner, author, illustrator, and founder of Rare is Everywhere Global Productions, has officially partnered with ThinkGenetic to support those living with rare genetic disorders. 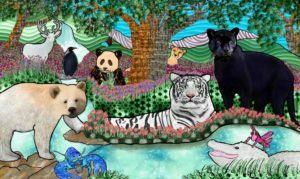 In November 2016, ThinkGenetic supported fundraising for Katz’s recently published children’s book, “Rare Is Everywhere,” which highlights natural differences in the animal kingdom to illustrate that it is not so rare to be rare. 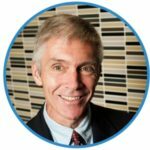 ThinkGenetic is excited for the partnership with Katz that has developed from this collaboration. As a health practitioner with a long career in nursing, Katz has come across many children who feel different for some reason – perhaps allergies, ADHD, anxiety, illness, physical differences, or even a different family or cultural background. Whatever it is that makes them feel different, they often feel like they’re the only ones in the world. This motivated Katz to use her background in science and art to create a book that shows children that there are differences in every species, in every corner of the world, and importantly, in every one of us. “I am very excited to be partnering with ThinkGenetic in pursuit of our shared goal of improving the lives of those affected by genetic disorders. I see a number of synergies here as ThinkGenetic users will benefit from the “Rare Is Everywhere” book and its community, and ThinkGenetic will expand their reach to our readers globally,” said Deborah Katz. Deborah Katz is a Vancouver, British Columbia, nursing professor with nearly 20 years of experience in health care. She is also an artist who, before moving into digital illustration, painted using a multimedia approach that involved acrylics, watercolor, photography, and collage. Her work has appeared in local galleries and various publications. In addition, Katz has authored and edited many professional publications, as well as written and illustrated a handbook on organic gardening for children. A portion of the proceeds from the sale of “Rare is Everywhere” are being donated to the Rare Disease Foundation. You can order the book by clicking here (U.S./International) and here (Canada).